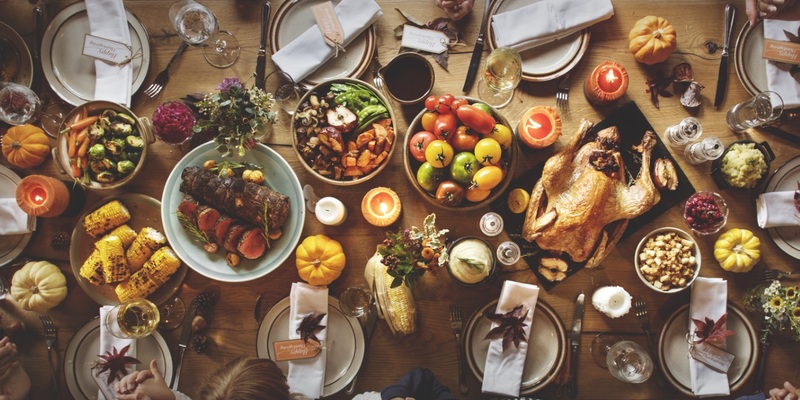 Facebook and Instagram users talked turkey and holiday shopping in November. 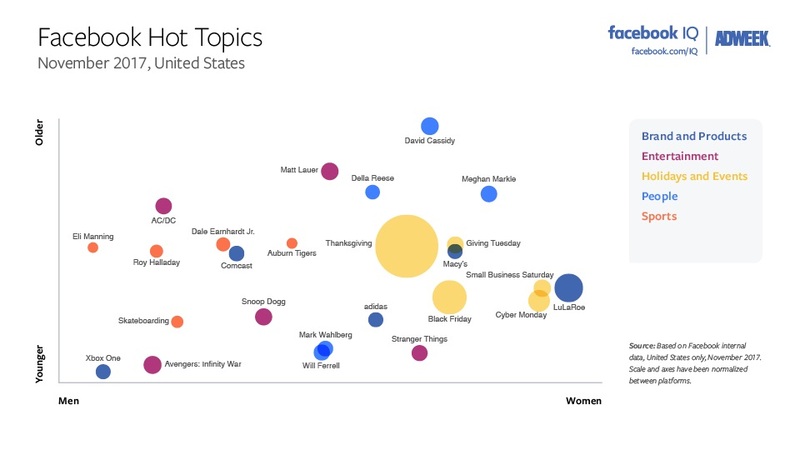 Facebook IQ revealed its Hot Topics for November 2017, and conversation about Thanksgiving, Black Friday and Cyber Monday dominated Facebook and Instagram, along with Small Business Saturday and Giving Tuesday, to a lesser extent. Entertainment talk differed across the two social networks, with Facebook users discussing Matt Lauer, AC/DC, Avengers: Infinity War, Snoop Dogg and Stranger Things, while the latter was also popular on Instagram, joined by Rap Monster, Filthy Frank and High Times. Brands and products that were Hot Topics on Facebook in November included LuLaRoe, Adidas, Xbox One and Comcast, while Instagram users chatted up the iPhone X, Overwatch, Roblox and League of Legends. Facebook users talked about David Cassidy, Meghan Markle, Will Ferrell, Mark Wahlberg and Della Reese on the people front, while people who made Instagram’s Hot Topics chart included Nicki Minaj, Millie Bobby Brown, Finn Wolfhard, Lil Uzi Vert and Jacob Sartorius. Finally, Dale Earnhardt Jr., Roy Halladay and Eli Manning led sports talk on Facebook, while Instagram sports fans discussed Ric Flair, Halladay, Ezekiel Elliott, Carson Wentz and Serie A.